Print marketing has been part of advertising since the early 18th century. Marketers used posters and billboards to share product information with their audience. To overcome both these challenges, print marketers are now including QR Codes in their print media campaigns. QR Codes help print marketers bridge the gap between print media and digital content. Now, with smartphone penetration increasing across the globe, QR Codes have become one of print marketer’s most favourite technologies. 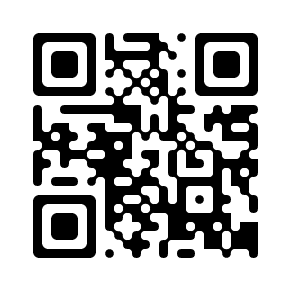 For those of you who are unaware, QR Codes are 2D barcodes that can link to photos, videos, text, and webpages. A smartphone with a QR Code scanning app can decode this information. QR Codes are popular in countries such as US, UK, China, India, Hong Kong, Australia, and the Middle East. They are extensively used in industries such as marketing, retail, education, healthcare, and advertising. Smartphones are a common sight in the United States. The number of smartphone users in 2017 reached 222.9 million from 122 million in 2011. Rise in the popularity of smartphones made marketers in US realize the potential of QR Codes. 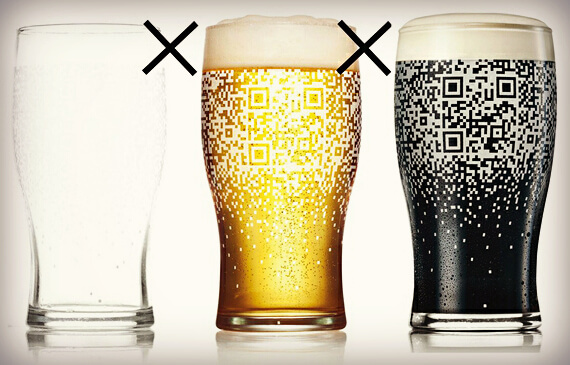 In 2012, BBDO, an American marketing agency created a QR Code campaign for the alcoholic beverages brand Guinness. The campaign aimed at making Guinness the most talked about brand in bars. The marketers created a QR Code Guinness beer cup. Filling the cup with the brew revealed a QR Code. People could scan the QR Code with their smartphone to post updates on social media, collect coupons from Guinness, and also view the brand’s promotional content. In 2011, luxury brand Victoria’s Secret put up billboards with QR Codes. The catchy ad featured a QR Code on various models that urged people to scan it to reveal the model’s secret. The QR Code showed people pictures of the model wearing Victoria’s Secret’s latest lingerie. 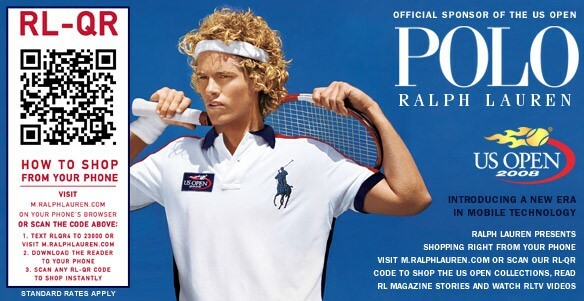 In 2011, clothing brand, Ralph Lauren displayed custom QR Codes outside their stores. Besides this, the brand also added QR Codes to their ads sponsoring the US Open in 2008. 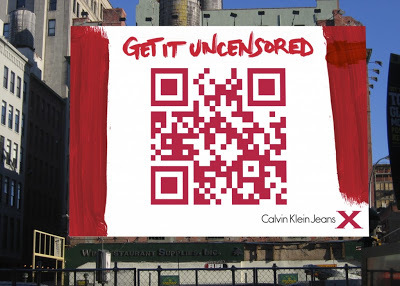 In 2010, clothing brand Calvin Klein put up billboards with QR Codes in New York and Los Angeles. The billboard simply had the phrase ‘Get in uncensored’ and a big QR Code. The QR Code directed a video of the brand’s commercial of their latest jeans. 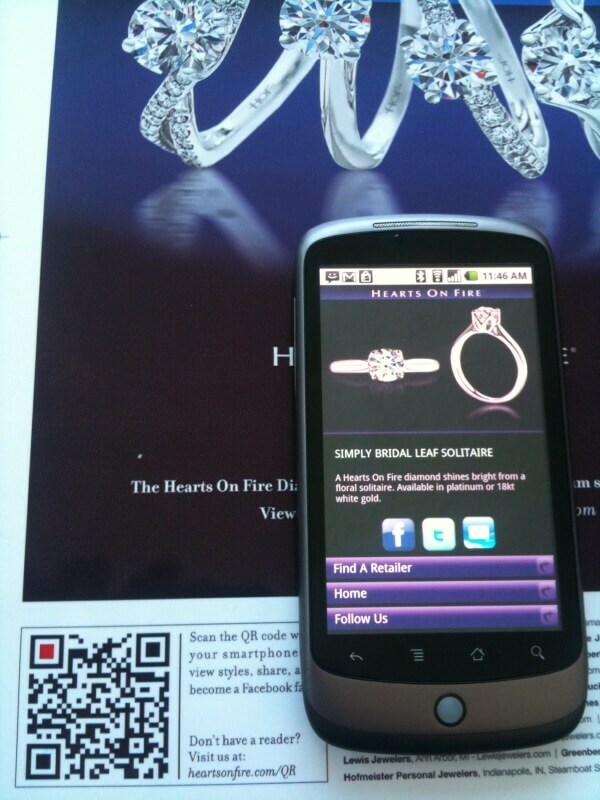 Also in 2010, jewellery brand, Hearts on Fire, featured a QR Code on their magazine ad. Scanning the QR Code directed to the brand’s webpage. According to Clear Channel UK’s Look Again 2015 report, 72% people dubbed QR Codes as one of the most audience friendly technologies. 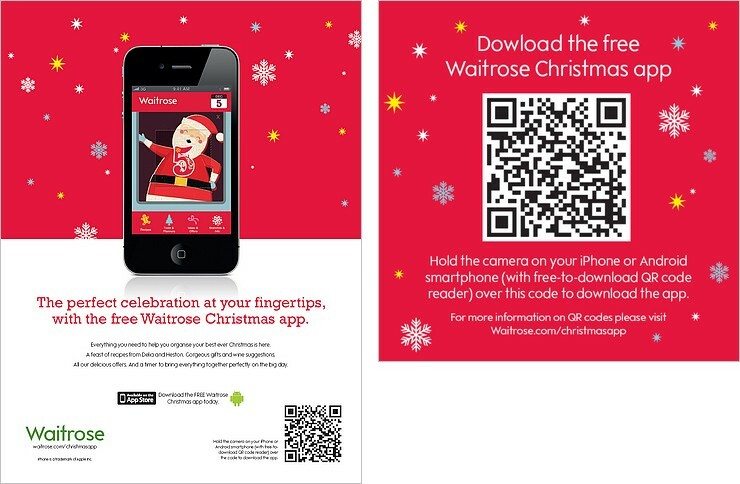 In 2010, British supermarket chain, Waitrose, released a QR Code Christmas ad campaign. Scanning the QR Code allowed people to download Waitrose’s mobile app. Also in 2010, HSBC bank organised the “HSBC presents Wimbledon 2010 at Rockefeller Center” event. QR Codes featured on the print ads to promote the event. Scanning the QR Code directed to the event’s mobile page. 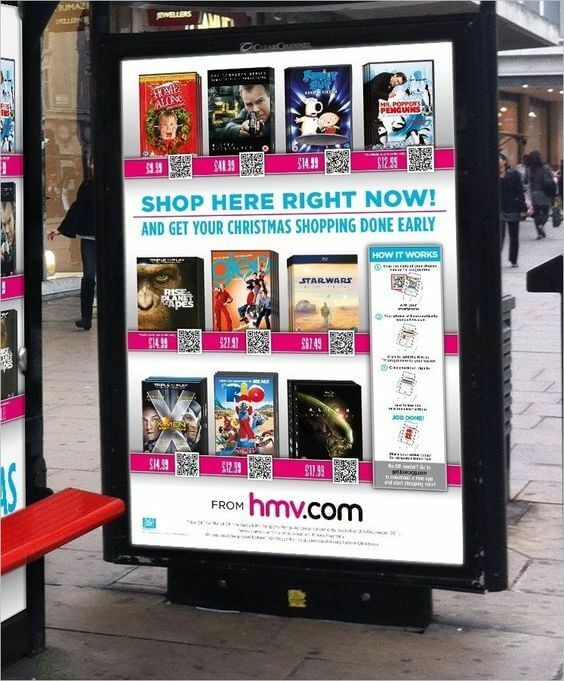 As part of their Christmas marketing initiative, UK retail brand HMV put up adboards with QR Codes at bus shelters. Scanning the QR Code allowed shoppers to make online purchases from the brand’s website. 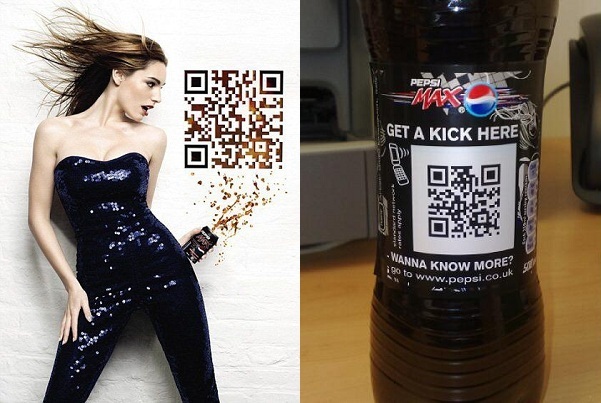 In 2008, soft drink manufacturing giant, Pepsi, added QR Codes to their Pepsi Max bottles in the UK. Scanning the QR Code directed people to a webpage, where they could download free games. 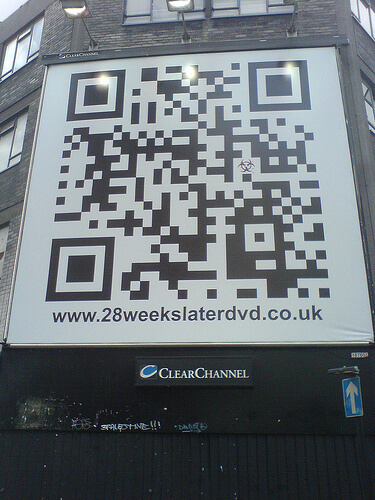 The British movie, 28 days later, promoted the launch of its DVD by putting up QR Codes on billboards. Scanning the QR Code revealed the date of the DVD release. The PFLAG (Parents, Families and Friends of Lesbians and Gays) group in Canada, has partnered with radio channel, Shazam, to launch an awareness campaign. The campaign features head shots of 14 different people. A QR Code unique to each person covers their mouth. Scanning the QR Code directs the scanner to a video of the person on the poster sharing their story. 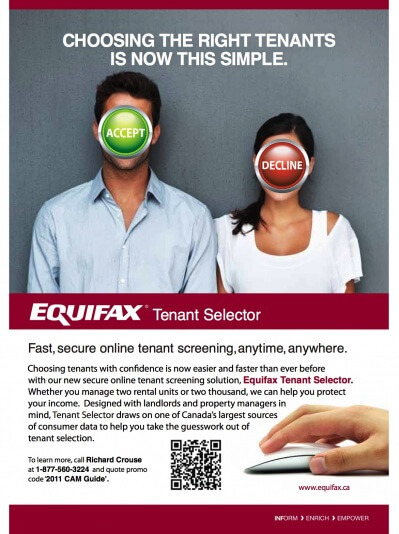 In 2011, Equifax, A reporting firm added QR Codes to their magazine ad to help landlords select tenants. Scanning the QR Code directed to the company’s webpage, where people could view more details. In a 2014 survey conducted to see the top five countries that scanned the most QR Codes, Australia stood at the third position. In 2013, Australian grocery chain, Woolworths ran a ‘Meet the Grower’ campaign. The campaign aimed at connecting Woolworths shoppers with the farmers that supplied their stock. Each Woolworths item came with a picture of the farmer who grew the produce and a QR Code. Shoppers could scan the QR Code to learn more about the farmer. 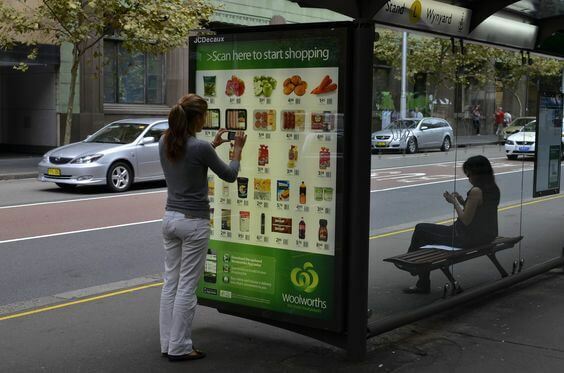 The retail chain also allowed people to shop at bus stops by scanning a QR Code. The ads had a list of products with designated QR Codes. To make the purchase, the shopper just had to scan the QR Code using their smartphone. In a 2012 Google Trends report on QR Code featured India at the 9th position in the list of 10 countries. 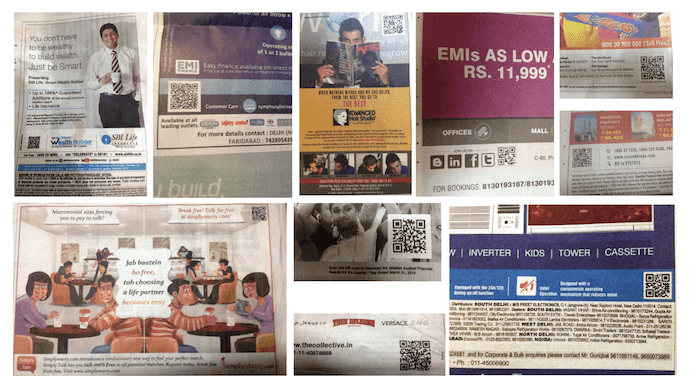 QR Codes are prominently features in various newspaper ads and brochures in India. 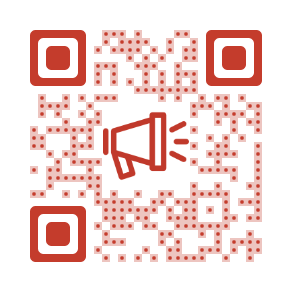 These QR Codes mainly lead to a webpage that share more details about the ad. Like other Asian countries, QR Codes are big in Korea too. In 2012, Korean shopping center, Emart, ran a campaign called Sunny Sale. The mall aimed at attracting shoppers in the afternoon. 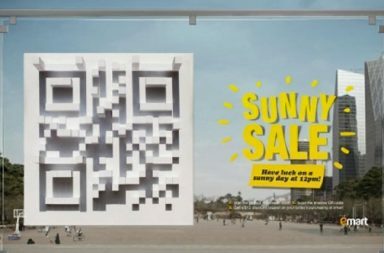 As part of the campaign, a large QR Code structure was installed outside the mall. During mid-day, the shadow cast by the QR Code, made it scannable. Shoppers could scan the QR Code to avail discounts at the mall. In 2011, SF Bio, one of Sweden’s largest movie theater chains, organised a QR Code treasure hunt. 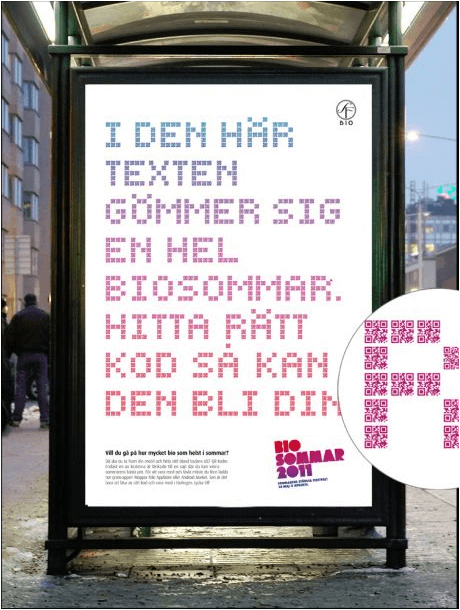 As part of the campaign, SF Bio put up boards with a headline made of 687 QR Codes. The ad urged people to find the right QR Code which would give them a chance to watch movies free of cost all through summer at SF Bio theaters. In 2016, soft drink brand, Coca-Cola launched the ‘Taste the feeling’ campaign in Singapore. As part of the campaign, Coca-Cola set up a color and face recognition screen. When a person pointed a red object at the screen, it created the person’s gif and gave out a QR Code voucher for a free can of Coca-Cola. 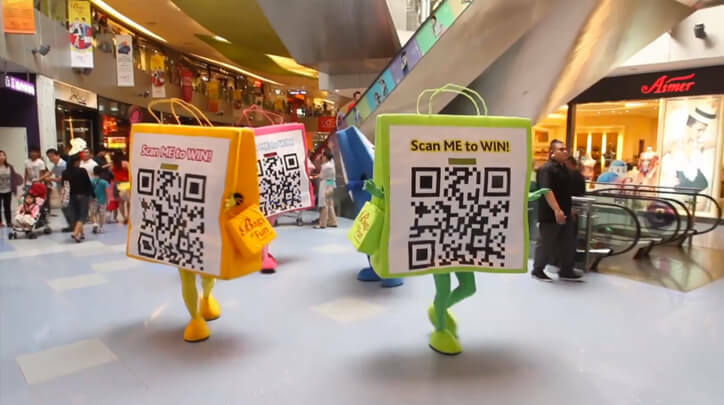 In 2014, VivoCity mall, one of Singapore’s biggest malls, organised a QR Code campaign. Four mascots wore a large shopping bag costume that featured a QR Code. The mascots were called VivoCity Codeys. Scanning the QR Code urged people to ‘Like’ the mall’s Facebook page and win discount coupons. According to 2017 statistics, marketers are expected to spend close to USD 60 billion on print marketing campaigns. If you are a print marketer, add QR Codes to your campaigns to make them more engaging.